Former finance minister Nhlanhla Nene’s son was instrumental in facilitating a controversial investment deal between the Public Investment Corporation and a Mozambican oil refinery. This was revealed by an executive head of impact investing, Rouith Rajdhar in evidence before the commission of enquiry into allegations of impropriety in the PIC. 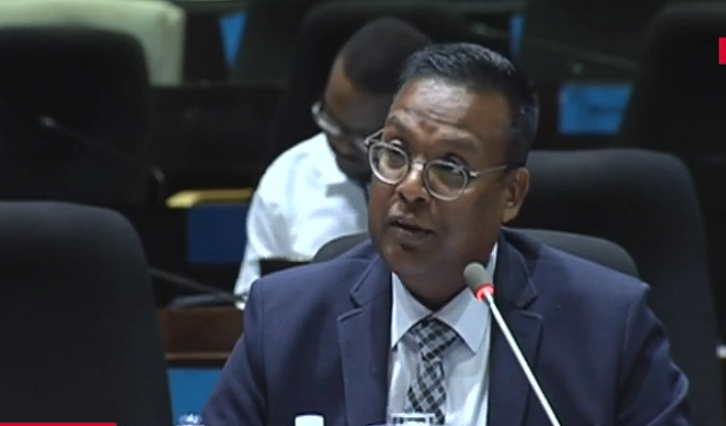 He says a multi-million Rand Mozambican oil deal was pushed by Senior Executives and highly connected facilitators at the PIC. The PIC continued to invest and inject billions of Rands into the Mozambican S&S oil refinery despite its owner Momade Rassul facing a string of corruption and money laundering allegations in his country. According to Rajdhar, former finance minister, Nhlanhla Nene‘s son partnered with the PIC for a 25% equity stake valued at 29 million each in that investment in Mozambique. He says the deal was approved and subjected to due diligence. Despite Nene’s father being chairperson of the PIC and deputy minister of finance at the time of the deal, the PIC still went ahead and did business with Nene’s son. Rajdhar says Nene’s son later dropped out of the deal. The post Nhlanhla Nene’s son implicated in PIC “impropriety” appeared first on SABC News – Breaking news, special reports, world, business, sport coverage of all South African current events. Africa's news leader..